“We are so proud of our dedicated and talented team at Catalina. Completing his cookery apprenticeship at Catalina, Mark has worked his way through all areas in the Catalina kitchen over the past 18 years. In November 2015 Mark accepted the position of Executive Chef. 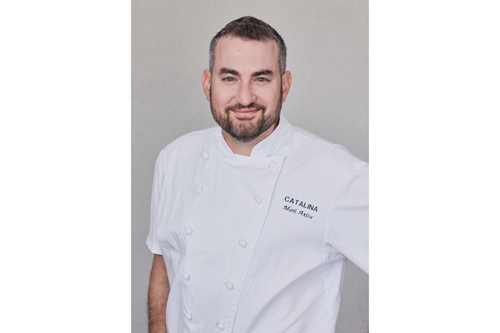 Mark's long association with and experience at Catalina ensures continuity and his passion is reflected in some exciting new dishes alongside the Catalina favourites. After studying hospitality and tourism in his hometown of Dublin, Alan completed his cookery apprenticeship at the famous 5 star Merrion Hotel. Alan joined the kitchen team in 2008 as Chef de Partie and accepted the position of Head Chef in 2014. His passion for traditional French cuisine can be seen in a variety of our popular a la carte dishes. Alan enjoys working with our long standing suppliers to ensure we are consistently getting the best possible ingredients, the key component to every dish at Catalina. Berny has worked with us from the very beginning with shorts stints away; working abroad in Tokyo and mentoring pastry students. Berny creates seasonal, contemporary desserts. The dessert menu reflects her endless love of working with seasonal fruits, different textures and colour. A must-try, and Berny’s personal favourite is the caramelised fig with bitter caramel mousse, brik pastry and sugared pistachio. Christopher was drawn to hospitality from a young age commencing part time work at the age of 13 in a school friend’s “snack bar” in Adelaide. Moving to Sydney in 1999 he has worked at some of Sydney’s finest restaurants including Pier back in the day and Bennelong. Chris loves the idea of providing guests with a memorable dining experience which comes across as he plays host to the many functions at the restaurant, and calls it like coming home and being with family. Prior to 2001 Gilly managed Armstrong’s Brasserie in North Sydney where she was for 9 years. Looking for a change, she joined the Catalina team in 2001 as a waiter. With intermittent periods of time away, Gilly has consistently worked on the floor since her beginning, accepting the position of Assistant Manager in 2017. As one of our longest serving team members, many of our regulars have come to know and love her smiling face on the door. Andrew joined the team in 2003 as a waiter where he worked until leaving for a stint over in London. Following his experience overseas, Andrew returned to Catalina in 2007 taking up the position of sommelier. Under Michael’s continued guidance Andrew worked his way to the position of Head Sommelier in 2011 where he continues to lead the wine team and maintain Catalina’s award winning list. Eleonora’s love of wine began when winning a scholarship to attend an academic year at the University of Bordeaux. 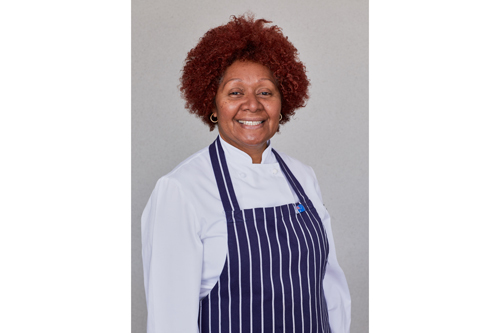 After graduating from there, further studies continued in London with WSET and AIS diplomas in Wine whilst utilising her knowledge working for the Michelin starred chef Angela Hartnett. Her move to Australia in 2017 saw her join the Catalina team where she continues to learn her trade and is currently enrolled for the Court of Master Sommeliers exam. Eduardo joined the team in 2015 working behind the bar initially. With a desire to increase his knowledge further within the industry he completed his WSET Level 3 in Wine and joined the wine team following that. Eduardo accepted the Assistant Head Sommelier role in 2018 where he continues to increase his breadth of knowledge and passion for all things wine. Danielle’s hospitality career commenced in one of Sydney’s 5 star hotels working on the floor initially in fine dining, which was then followed by a move in to the function operations team where she gained experience in corporate, conference, weddings and private functions. Since joining Catalina Danielle has played a key role in attaining our awards for excellence in the wedding sector and Restaurant & Catering NSW, and continues to expand the wedding and private event sector of the business. She loves all things food, florals and fine details and working with some of Sydney’s best industry creatives. Christine commenced her hospitality career in London in 2001 gaining experience on the floor as a waiter. Upon returning to Sydney in 2005 she continued in the industry, moving into more reservation based roles at both Aria and Chiswick restaurants. Joining the Catalina team in 2017 you will recognise her as the voice on the other end of the line. Since opening our doors 23 years ago, Catalina has consistently maintained the reputation as being one of Australia’s great fine dining destination restaurants. We are always interested in hearing from experienced candidates who are enthusiastic, self-motivated and like us, are passionate about impeccable service, amazing food and great wine.